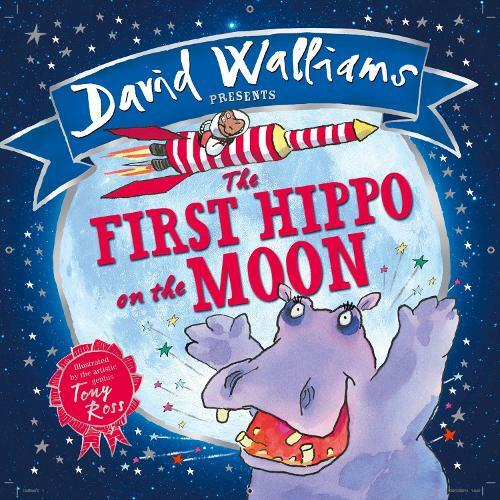 From Number One bestselling picture book duo, David Walliams and Tony Ross, comes this explosively funny space adventure for children of 3 and up. Who can make it to the moon first? 3 . . . 2 . . . 1 . . . Introducing a wonderfully charming and funny new picture book from two superstars! Best-known for his novels for children including Mr Stink, Billionaire Boy and Awful Auntie, Walliams has also written a number of picture books including The Slightly Annoying Elephant, working with two of Britain’s most talented illustrators, Quentin Blake and Tony Ross.